As former members of the VA Research Advisory Committee on Gulf War Veterans Illnesses, many of us wrote you fifteen months ago objecting to the makeup of the IOM committee chosen to prepare an updated review of Gulf War health literature. Its membership was overweighted with individuals associated with the discredited 1990’s government position that Gulf War veterans’ health problems are largely psychiatric and unrelated to toxic exposures, including the chief architect of that position, VA Undersecretary for Health, 1994-99, Dr. Kenneth Kizer. In fact, these “psychological aspects” are hardly a topic that has been neglected. They were the primary focus of government Gulf War research for the first fifteen years after the war and produced nothing of significant value. A major VA study of cognitive behavioral therapy, for example, showed a one-point improvement on a 100-point scale. 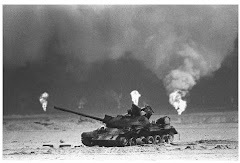 Other research consistently showed that rates of Gulf War Illness far exceeded rates of PTSD. For that reason, former VA Secretary Anthony Principi ordered in 2004 that no further research be conducted based on the premise that Gulf War Illness is caused by stress. This new IOM report would take research back to those dark days. As predicted in our previous letter, clinical care has also been affected. VA has issued a new 89-page Clinical Practice Guideline, instructing doctors who see Gulf War veterans to use psychiatric therapies and alternative treatments, and to prescribe from among eleven drugs, ten of which are psychiatric. None of these drugs have been shown to be effective in treating Gulf War Illness, and all of them list “suicidal ideation” as a side effect. Gulf War veteran David Winnett, who leads a chat room with over 10,000 members, testified to Congress last week on the experiences reported by veterans with Gulf War Illness who are being treated as psychiatric cases in VA facilities. That VA is willing to compromise what remains of the health of these estimated 250,000 veterans to avoid paying benefits -- instructing doctors to prescribe drugs that don’t help and may harm, and misdirecting treatment research toward dead ends – is a scandal far worse than the waitlist scandal. That was about veterans waiting for care. This is about deliberately giving veterans the wrong care, and deliberately directing research where it won’t produce results. Most shocking of all, the IOM has been a willing accomplice, bending its standards of evidence to predetermine the conclusions of IOM reports and stacking IOM committees in favor of the government position, as documented in our previous letter and in testimony last week before the House Veterans Affairs Committee Oversight and Investigations Subcommittee. We are therefore extremely concerned to see that another IOM report is underway to review the Congressionally Directed Medical Research Programs (CDMRP), the beacon of hope for Gulf War veterans, and that the leadership of that report is in the hands of former VA officials committed to denying the reality of Gulf War Illness. 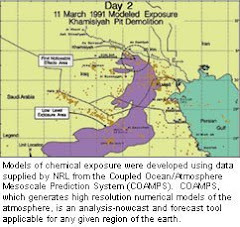 Congress established the Gulf War Illness Research Program (GWIRP) at CDMRP to identify treatments and biomarkers, based on the recommendations of the 2008 Research Advisory Committee report and the 2010 IOM report. Prior to that time, almost none of the hundreds of millions of dollars spent on Gulf War research had gone toward finding treatments. It is a peer-reviewed, competitive program, open to any researcher, to improve the lives of Gulf War veterans and to protect the health of future troops at risk of similar exposures. Approximately one-third of the projects funded are pilot studies of treatments found to be effective in the experience of doctors treating Gulf War veterans or for which there is other reason to believe the treatment may be effective. Pilot studies have already identified four treatments that show effectiveness for some symptoms of Gulf War Illness, most notably CoQ10. Approximately two-thirds of the projects are studies to identify the mechanisms underlying the illness, which can then present targets for treatments to treat the underlying disease, not just the symptoms. Some of these studies are done in humans, and some in animal models, as is typical in medical research. Here, too, there has been impressive progress, such as the multi-site, multi-disciplinary “consortium” team studying inflammation in brain immune system cells as a possible mechanism underlying the disease. The CDMRP program has been successful because it operates under the guidance of Congress, beyond the reach of the regular VA and DoD staff. However, this new IOM review of the CDMRP programs presents opportunities to recommend changes to the program which would have the effect of undermining its operation and independence. On the government side, the project is being led by Dr. Kelley Brix, who gave the IOM committee its “charge” (assignment) at its meeting on January 13. Currently at DoD, Dr. Brix is well-known to Gulf War veterans for her active role supporting the government position, initially at DoD in the 1990’s and later as Assistant Chief Research and Development Officer at VA in the early 2000’s. She has for many years been a member of the Deployment Health Working Group research subcommittee that co-ordinates VA/DoD deployment health research policy. Comparing these recommendations with those of the 2016 IOM report, it is striking how little the field of anti-Gulf War Illness research has advanced in twenty years. It is the same people reading the same script. Given its leaders’ records on both the IOM and government sides to mischaracterize Gulf War Illness from the 1990’s to the present, this new IOM study is irreparably flawed. The outcome with respect to the GWIRP is pre-ordained. As noted above, it is not necessary to abolish the program; a subtle change in the way it operates will do the job. Dr. Brix laid the groundwork for this outcome in her charge, which expanded the scope of the IOM review to include coordination with VA research priorities. The fix is in. We urge you to halt the study and to reform the relationship between the IOM and VA/DoD with respect to military and veterans’ health. As detailed in Congressional testimony last week, these same practices are being applied to IOM reports that deny the effect of burn pits on the health of recent Iraq and Afghanistan veterans. It is an unthinkable breech of public trust that the Institute of Medicine has allowed itself to be compromised by the government. Alternatively, we will support veterans ’ efforts with Congress to correct through legislation this contempt of medical ethics and the respect owed to those who have risked their lives in our nation’s service.